My spring 2007 was quite a busy season. I bought my condo in January and had to pack boxes for my move in June. I was going from a 3 bedroom /1200 + sq. ft apartment with incredible storage space into a 2 bedroom 900 sq. ft condo with (almost) no storage space. I had to do a huge clean up in my stuff and throw away a lot of unnecessary things. My old high school agendas? Recycled. Letters exchanged during classes? Gone! Decluttering is time consuming. I also had friends from Sao Paulo living here from February until April, which meant I had to entertain. A lot. I was traveling to Brazil later that year and had registered for Portuguese lessons in addition to my dance classes. And, oh, no big deal, I was turning 30 that year and work was quite busy to say the very least (Annabelle Model Search, anyone?). I took possession of the condo on June 15th. My family came to help me remove all the carpets because, low and behold, ceramic and hardwood floors and to be completed before my official moving in 7 days later. We were throwing my parents a surprise party on the 23rd. My parents were throwing me an advance surprise party on June 30 for my 30th birthday and I was flying to Sao Paulo on July 7th. My schedule allocated very little down time. With the money I received as my birthday gift, I bought myself my very first (digital) camera and first iPod. I had no time to familiarize myself with my new toy and simply asked a colleague of mine (LM) to throw music in there for me. "Please put this and that on, a little Jami and a little Matchbox Twenty... as for the rest, surprise me". There I was, sitting comfortably in my first class seat (Yeah, baby! Hello Aeroplan points!) on my way to Toronto, excited to get together with my Brazilian friends, when I finally turned on my iPod. I looked at what he had put in. I like, I like, don't know. 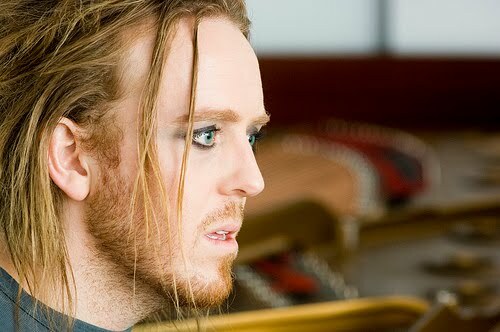 I decided to listen to an artist which I had never heard of, Tim Minchin. Genre: humour. WTF? Please don't tell me LM put sketches on there! I was quiet and cozy when "Inflatable You" started to play. Keep in mind that I have absolutely no clue what to expect. The first thing I know, I giggle, giggle and finally burst out laughing. My neighbor, a few feet away from me, glances, with his glasses low on his nose. I tilt my head sideways to express how profoundly sorry I am to have interrupted his very serious reading of a newspaper. The song starts with Tim stating "This is a love song". A few sentences in, he declares "delectable, inflatable you". The guy is declaring his love to an inflatable doll! I could not help myself: I had to listen to every Tim song LM had put on my iPod! The fact that he's funny or not is debattable. ("Your skin is so smooth, I couldn't afford you with hair. You have all the wholes real girls have got plus one for the air"). It's a question of taste and perception. His musical talent, however; is unquestionable. He rocks the piano! He also includes a lot of harmonies and my heart is quickly won over harmonies. Again, his choice of (abrasive and vulgar) language may not be suitable for your ears. You should surely avoid listening to Tim Minchin if you are particularly religious. Bodyguard does not think Tim is funny at all (and Bodyguard is not one bit religious). On the other hand, it's been 3 years already and I still listen to Tim on a regular basis. An instant fixer upper for me. He cracks me up. And although his voice is not spectacular, he carries a tune! -Nothing Can Stop Us Now (The end is drastic and cruel, I know! But the song itself is great). I appreciate the musicality his songs bring. I like the fact that he's silly. There is plenty of time to be serious and politically correct in daily life. When I want a dose of silly, easy-listening funnies, I turn to Tim. He's coming to this year's Just For Laughs and I sure hope to be part of the crowd! He also strongly supports the use of Canvas Bags and, as a canvas bag user myself, I just can't resist this song. Kudos to you if the chorus doesn't stay in your head all day after listening to it! To LM, my work colleague who loaded my iPod with Minchin tunes: THANK YOU for allowing me to discover Tim! Posted by Miss IPP at 8:06 p.m.
TRiG December 7, 2010 at 3:39 p.m. Pop along to Angry Feet, the official fan site. 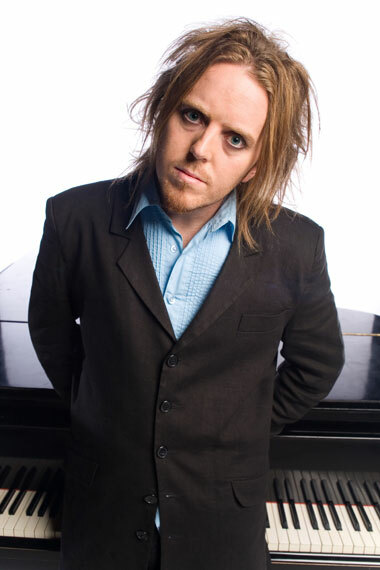 There's something about Tim Minchin: anyone who likes him at all is obsessive about him. I think I'm in love with him, though White Wine in the Sun is my all-time favourite. He's also incredibly prolific. I'm currently listening to his stuff on Grooveshark, and have just reached a song called God which I'd never heard or heard of before, even though I've been a fan for quite a while.